During the period the metal community got familiar with Delain, it was just a project of ex-Within Temptation keyboardist Martijn Westerholt. 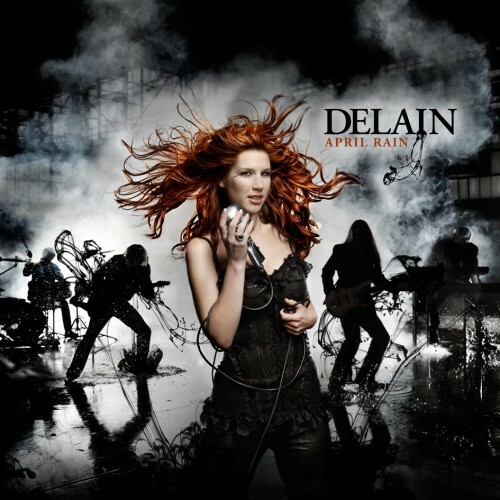 He recruited the young and relatively unknown Charlotte Wessels for the lead vocal duties and furthermore he wanted Delain to be a project just as Arjen Lucassen’s Ayreon. No steady line up, just asking musicians from all around the world to do some songs with him. The in 2006 released debut album Lucidity therefore had guest appearances from Marco Hietala (Nightwish, Tarot), Liv Kristine (ex-Theatre Of Tragedy, Leaves’ Eyes) and many others. History tells us that this vision was pushed aside and Westerholt and Wessels formed a live band around them. Delain’s new album is already on the market for a couple of months now, but we still felt we had to write something about this record though. After Lucidity and the formation of the live band, Delain played a lot of gigs. The band became tighter and tighter and that’s audible on their latest effort April Rain. They have reduced the number of guest musicians from eight on Ludicity to three on this record and the members of the live band have become full-time members now. This results in a record with less familiar names, but with better music than on its predecessor. When you’re listening to April Rain, you hear a unity. Right from the start with the title track you’ll be carried away by Wessels’ voice, backed up by a solid band. Both the heavier songs as the more reserved ones are worth listening to and maybe the best thing about those songs is that they can play them live equally great. Furthermore the cello on both ‘On The Other Side’ as ‘Virtue And Vices’ gives that little bit of extra that a song needs to stand out. Also the vocals of Marco Hietala stand out and match perfectly with those of Wessels. All in all nothing to really complain about, except maybe for the fact that I haven’t picked this one up earlier.